When a blanket of vines takes over the peaceful town of Red Mud Flats, the citizens find themselves in kudzu chaos. It takes the courage of Bobby Lee, the creativity of Kudzu Katie, and the cooperation of the townspeople to transform the smothering green monster of kudzu into a small-town miracle. Hardcover. Romero began his career as a nine year old in backwoods Louisiana. Determined to branch out to bigger venues, he soon won races at Evangeline Downs, Delta Downs, Churchill Downs, and even Keeneland in Kentucky. He eventually went on to win twenty-five riding titles at ten different racetracks with such notable horses as Wavering Monarch, Rocket’s Magic, Personal Ensign, and Go for Wand. Released in 1993, Jim Bolus’s Kentucky Derby Stories was called “a Derby delight,” “entertaining,” and “a winner” by publications like Daily Racing Form, Lexington Herald-Leader, and The Detriot News. Now for the 1994 racing season, Bolus, sportswriter and Derby historian, is back with another field of stories from the most-esteemed horse race in North America, Remembering the Derby. 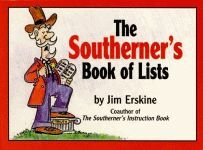 “Pull up a chair and sit a spell!” (For you Yankees, this means “hello!”) Ninety-five helpful, humorous lists are included in this book to remind Southerners and inform Yankees of what it means to be Southern. 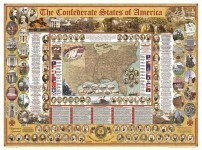 The lists cover topics near and dear to every true Southerner’s heart, like food and pickup trucks. Paperback. 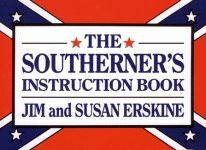 Arm yourself with the best defense to avoid being called a Yankee—The Southerner’s Instruction Book. It’s a simple approach to living life the way it’s meant to be below the Mason-Dixon line. Inside are more than 300 quips, aphorisms, and pieces of advice that will help anyone fine tune his Southernness. Some are peppered with a little tongue-in-cheek spice, while others are as genuine as a hound dog’s love for its master. Paperback. “Lee Surrenders!” “President Murdered!” “Booth Killed!” screamed the headlines of American newspapers in April 1865, leaving little room for mention of a maritime disaster that to this day is America’s worst. On April 27, 1865, the Sultana, a 260-foot, wooden-hulled steamboat, smaller than the Titanic but carrying more passengers, exploded on the Mississippi River near Memphis, Tennessee.